Good communication is one of the most valuable skills in any organization. And effective listening skills are critical to communicating productively inside the organization and meeting the competitive challenges outside the organization. The Personal Listening Profile helps people become effective active, purposeful listeners in multiple situations resulting in more productive communication. It’s estimated that people screen out or change the intended purpose of what they hear in over 70% of all communications. The major factor contributing to these mis-communications is our listening approach. 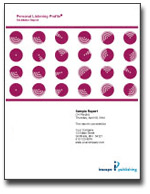 Behavioral research indicates that people listen with a preferred listening approach. the full program delivered on a USB drive the supports both the online version and the paper version. PowerPoint presentation with video and/or audio. See sample video below. 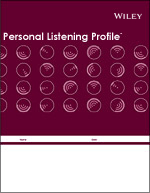 Introduction to the Personal Listening Profile. Short annotation goes here that describes the content of the case study, highlighting the outcome. 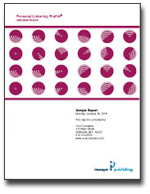 Research on and of validation of the Personal Listening model.